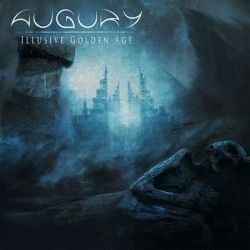 Augury performs a very vicious form of death metal that has technical aspects to it. It can be likened to bands like Obscura and Beyond Creation among others. The band backs up their technicality with a solid-songwriting core that makes for a very cohesive recording. I find them to be similar to Beyond Creation, but a little more coherent as a unit. The band sits atop other acts from the genre like Origin because their song-writing skills are much tighter. This album does have the ability to sink into technical meanderings, but usually keeps everything in check with the cohesiveness present. The songs here are still not as interesting as Rivers of Nihil's outing from this year. There is simply not the wide variety of moods that Rivers of Nihil was able to convey so much this year. This makes the album sound a little more one-dimensional. Fret not, however, as the band is certainly interesting enough and capable of bringing their sound into compelling different directions at all times. The guitar work is fairly tight and weaves an interesting web of complicated rhythms around the listener. Drumming is solid and forms the backbone for these tracks nicely. Overall, the instrumentation was hard to fault. The vocalist sounds a bit standard, but is still an important component of these tracks. He even tries some shouting in the song Carrion Tide that works within the context of the track. This is an album that benefits from the fact that there hasn’t been all that much death metal worth discovering so far this year and it’s one of the only ones I’ve heard that takes things to such an extreme point. The music is still not perfect as the band does become overly technical at points and becomes slightly more unlistenable. Illusive Golden Age is still a vibrant and worthy collection of death metal tracks.